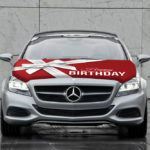 The Car Bow Hoodie provides you with a useful and attractive alternative to the traditional Big Red Car Bow. Available in a choice of 4 colors and with 2 celebratory messages, it’s the perfect way to present a gift to give it the wow factor. 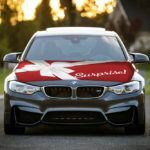 “Surprise” message available in Red/White. 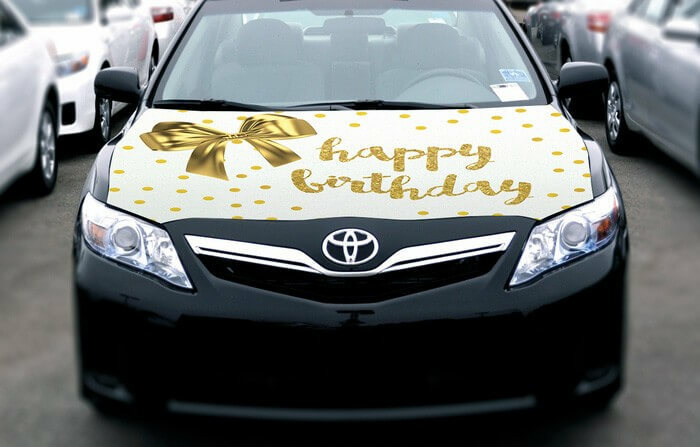 The Car Bow Hoodie, which is exclusive to CarBowz, is an excellent alternative to the traditional car bow ribbon, and it’s a great option if you want to choose something a little bit different to celebrate a big occasion like a birthday or graduation. 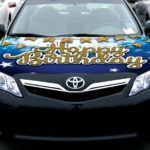 Colorful, bold, and beautiful, this hoodie is easy to attach and easy to remove, just like the magnetic car bow, and it fits virtually any car or truck so you can use it no matter which vehicle you are giving away as a gift. 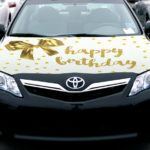 The Car Bow Hoodie is the perfect way to present a gift, whether a surprise birthday gift or celebrating a special achievement. 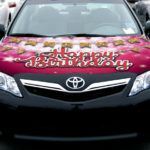 As well as the Car Bow Hoodie, we provide a huge range of related items that you can use to perfectly present a vehicle. 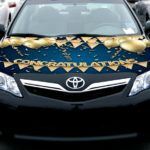 Check out our range of Car Bows to start with, which are available in large, small, numerous colors, and customized options. As soon as you complete your order of the Car Bow Hoodie, we will send it out for delivery and you can expect it to arrive in 1-5 days.